Sometimes I get so busy with designing and making stuff that I neglect my blogging! I've just completed designing a new coffee cozy, The Ultimate Java Jacket, and will hopefully, have the product with a variety of patterns listed soon on my Etsy site. 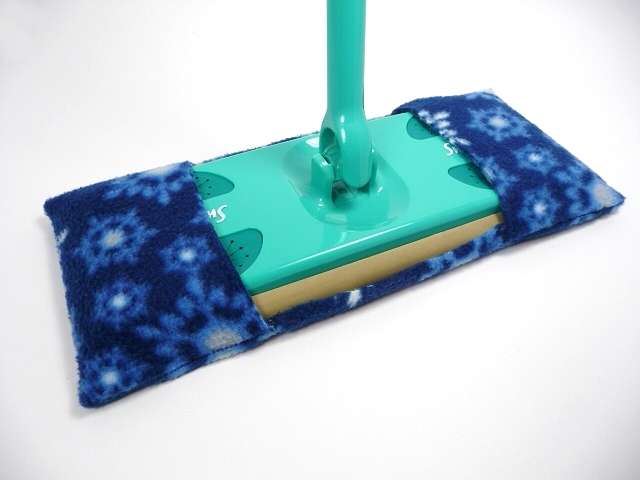 In between designing I've been having all kinds of fun shopping for cool patterns for the reusable floor covers for dust mops. They fit the Swiffer Sweeper and the Pledge Mop. I can't confirm it yet, but it looks like they also fit the Swiffer Sweeper Max. Actually I'm sure they fit any floor duster that is 4"x10". I can do custom orders too... wink wink. Speaking of Etsy, ya know, I can sell stuff not through Etsy and I'll pass on some savings to you since I wouldn't be paying a ton of $$ in fees. It is amazing how fast that can add up; especially when you sell a small priced item. Anywho. Hey if you're interested email me! DetroitKnitter@hotmail.com and I'll see what savings I can pass on. Cool! Ok, now I sound like an advertisement. I'm going back to my sewing machine. 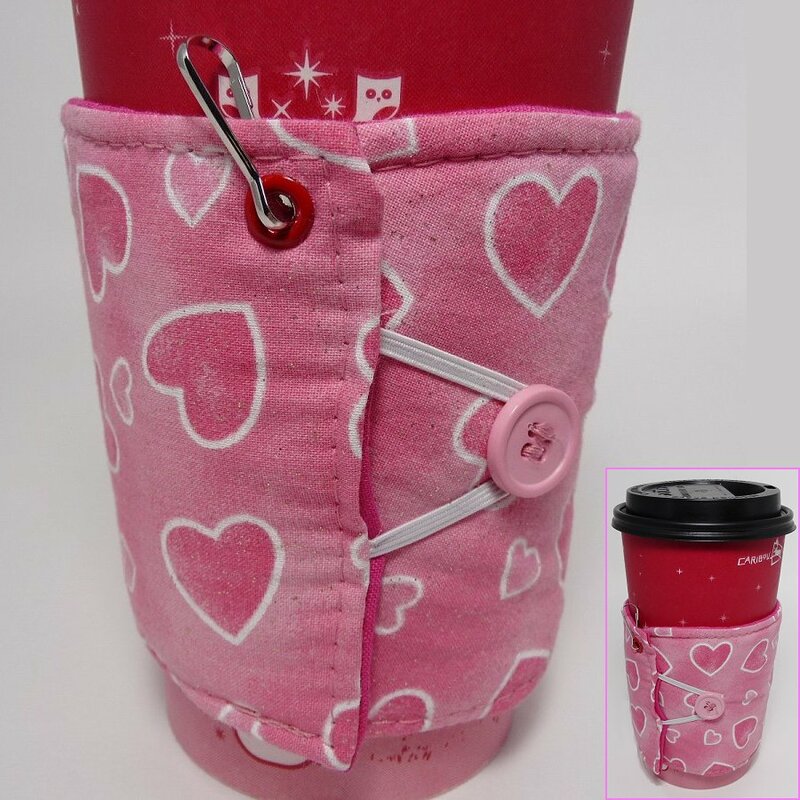 I would like to do a quick tutorial on making a slip on coffee cozy. They are really super easy with very basic sewing skills. These are my original design. 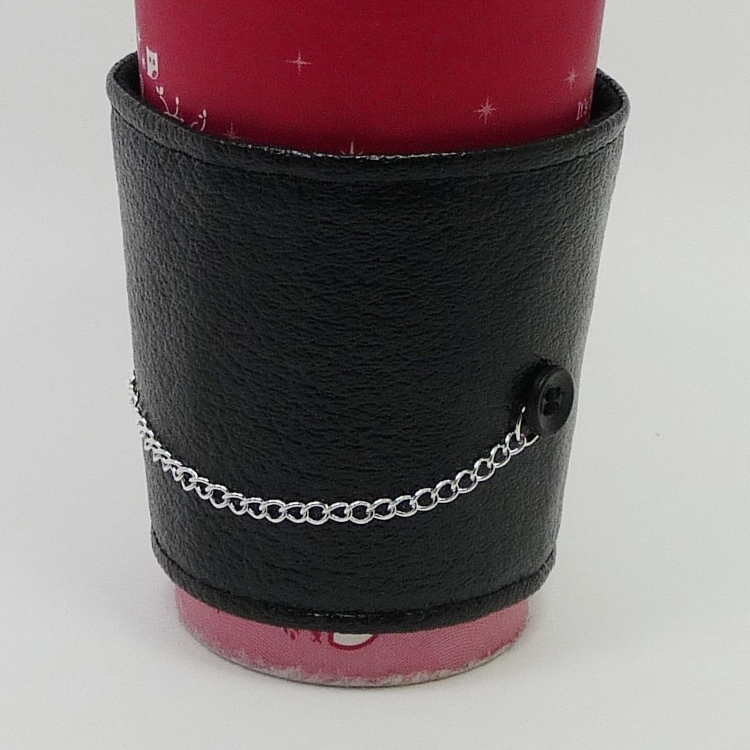 Works great for to-go cups, but I wanted one that will fit any coffee mug or cup; so back to the drawing board I went with it!